« This rage is the only future we have! Declaration for the 1st November letter-bombing against European State targets by Conspiracy of Cells of Fire. Currently our three brothers, three members of our group are incarcerated in the prisons of Greek democracy. Their absence from our side is not rectified through the text of a proclamation. The words seem hopelessly small and insignificant against the intensity of situations and emotions that we share with them. Gerasimos Tsakalos, Panagiotis Argyrou and Harris Hatzimichelakis through the uncompromising attitude and the proclamation of responsibility, as members of the Conspiracy, give us the signal for the continuation of hostilities. In their pride we find our pride and in their smile, our smile. Panagiotis and Gerasimos, two of the most honest and decent rebels, during the past year and a half, had passed to the forefront of illegality, taking a choice to keep a constant fighting stance towards the system and its pimps. Harris imprisoned for a year and a half, in order to protect his wider friendly environment from being targeted by the police (in total 17 people were charged for participation in the conspiracy, based on many fingerprints that were found at the home of Harris). Harris refused at the beginning to admit to the fact that he is a member of the group. But after the recent arrest of our 2 brothers, his honor and pride as a rebel led him to proclaim political responsibility of participating in the Conspiracy of Cells of Fire. Since everything goes on, we claim that from the current day and onward, the Revolutionary Group Conspiracy of Cells of Fire will be expressed through two independent and equal facilities. Of us who from now on describe ourselves as the illegal sector of the group and a second sector, the cell of the imprisoned members of the group (Gerasimos Tsakalos, Panagiotis Argyrou, Harris Hatzimichelakis) and every imprisoned comrade who stay consistent with our values and our principles. I) Truce? Never and Nowhere. To shout loudly with the international language of revolution. Where the words are pronounced differently, but facing common landscapes without masters and slaves, without the tyranny of goods and images to govern us. In recent years, Greece has developed a condition that makes impossible any setback. The radical anti-authoritarian tension looks like the main expression of the internal enemy, leaving permanently consigned to the dustbin of history, the Marxist logic and left reformism. The anti-authoritarian internal enemy despite its contradictions, weaknesses and internalization, is present across the spectrum of insurgency. From posters and demonstrations to the aggressive sabotage, the armed robbery, the bomb attacks and political killings. This is the climate of a fireborn era inside which the RG Conspiracy of Cells of Fire is organized and strikes. After about 3 years of tenacious action, more than 200 arson and bomb attacks we continue to believe that our actions are just a drop in the ocean in front of the immensity of our desire for revolution. The conspiracy comes from a new wave of revolutionary anarchy that has invaded dynamically in the field of conflict and social challenge. Through the targeting of action and word of our proclamations, we find ourselves as part of the militant anarchy of the new urban guerrilla warfare, that has criticized the incessant armed tyranny of the “top” and the compromises of the “bottom”. The targets that are hit, the car dealerships, the banks, the police departments, the security companies, the political offices, the parliament, the churches, the courts, the prisons, the embassies … are for us just buildings where whatever pounds of explosives we put, they will be rebuilt from scratch with more cameras, more security, more and more seemingly impregnable. Alongside the propaganda of the media, following or concealing some attacks, covering them with a veil of silence or when they are forced to report them (bombs, executions), they will be de-politicised by slandering them. At the same time by using the uptake of the spectacle they are “fitted” between the advertisements for a “new dish-washing liquid” and a reality, turning into a neutral product of a dull information. For this reason, our essential goal is not just the unsecured doors, the office walls and the windows of stores, but the bombing and the sabotage of the social relationships that make them acceptable to the symbols of power. Therefore we belong to the anti-social tendency of anarchy, which not only opposes the State but also society, because we find that authority does not rely only on force and the dictates of the State’s command posts, but also to the compromise, the acceptance and resignation of a silent crowd, who has to learn to cheer for the national successes or for his [football] club, to change mood with the button of the remote control, to fall in love with windows and fake standards, who hates foreigners, caring just for themselves and closing their eyes in front of the lack of authentic life. This crowd of complacent citizens, revolts from their armchairs, only when the warmth of its individual small property is threatened. The economic crisis in Greece and its consequences are already forming a new frame of social cannibalism. The social explosions that erupt from the majority of workers, claim only for their own trade unions financial demands. Often even protests (truck drivers on strike, ports blocked by dockers etc.) cause a short circuit and social discontent among other employees. Of course this scene changes often and those who are currently on the road “claiming for their own” tomorrow, will stand against others who would go on strike for their own requests (e.g lorry drivers against rural blockades, citizens against public employees on strike, parents against striking teachers, etc.). All these social protests impoverish our language and our consciousness, claiming for a better State, a better job, better education, better health, but never dare to affect how the issue is not simply whether we are more or less poor than yesterday, but that we live in a way that does not contain us. Being humiliated from the commands of every boss, our wishes are reflected in the images in shop windows, our disobedience is imprisoned by the uniformed patrols, joy transforms into a product on the shiny shelves of a supermarket, the expression loses her face behind masks of pretension, contact is a button on the keyboard in front of cold computer monitors. All these losses are worth something more than mere protest for a handful of euros. They deserve our wholehearted commitment to the new urban guerrilla warfare. The new urban guerrilla warfare is the claim of our existence, our alliance with the original side of life, the difficult and bad way inside a society that has sold out any trace of conscience. Today everyone is looking for themselves, transforming their frustration into cynicism and indifference and the only thing that matters is how they will be accommodated at any price. The authorities plays their game of “divide and rule” well, because they have an easy opponent. When the rival is a degenerate society where the ‘virtual reality’ of the ‘reality shows’ occupies them more than real life, no special attempt to divide is needed, because the society is already divided between the free installments of consuming joy and new mortgages of the petty-bourgeois illusions. And life? Life is now absent from this city, now there is only the noise of cars, the voices of everyday instructions and pictures of ads shooting at us all day. For we believe that class consciousness is dead and buried beneath the foundations of modern civilization. Whoever speaks now about class war bears the past inside their mouth. We explain ourselves not to be misunderstood. Because obviously we do not live in the jar of pure ideology, we know that the essence of the system is in producing social and economic inequalities. For every rich there will always exist many poor. So when we say that the class war is an outdated concept, we do not mean that there are no social classes, but we believe that there is no consciousness of class. So therefore if the oppressed and exploited of this world cannot understand their position, to stand up and to attack the palace of “czars” who have deprived us, we will not impersonate the role of the popular alarm. Instead through our words and actions we do want to avoid the old trap of revolutionary thought that insisted on approaching history in black and white background where the State is bad and the oppressed good. We reject the standard tables of reading the “eternal” truths and easy conclusions. That’s the reason that our texts lack in economic analysis. This does not mean that we do not recognize the crucial position of the economy as the cornerstone of the system. How can we describe in economic terms the empty eyes of a child begging at traffic lights, the people waiting at the rations, in the accounts running and cut electricity, loans, unpaid rents, but most importantly how not to get trapped in a humanitarian compassion without searching for the responsibility of the inaction of those who suffer the scourge of the economy without reacting. Because it’s a fact that we all experience the oppression daily in our own skin, but the difference is what everyone does about it. Others whistling casually and changing channel with the remote control, others blame the foreigners “who get the jobs”, others asking for more police, others are themselves police and private security, others continue to wear party blinders, others are studying to succeed or to feed the illusions of their parents, others find hiding places to forget, like the consumption in the Ermou street and Saturdays at Gazi and some few use frustration as voice and wear her as a hood, putting together new plans of subversion inside the modern crematoria of the metropolis. Now, ‘understanding’ has become bankrupt and explanations are looking for reason. The economy isn’t just a scientific methodology to interpret the world, but primarily a social relationship which is based as a criterion for distinguishing people. When during the 90′s authority could offer the promise of a world of plenty, the current voices of protest vested their seat in consumer smiles regardless of the fact that such happiness is always built on the backs of the misery of other people (fall of eastern bloc, immigration, civil wars …). Now is the turn of the western man to wrestle with the impasse of the culture he created. We, against forgetting the social responsibilities, practice our criticism towards not only the economic short-circuits of the system but to the system itself as such, and its citizens. So Conspiracy does not speak the language of class analysis, but the one of conscious choice of attacking, of the armed struggle and the revolution for the total subversion. We don’t need a vision of massive social unrest to believe and become caught up in something, because we assess ourselves and have faith in our comrades, we also have the heavy conviction that what we live is not life. That’s why we removed from our vocabulary the supposedly revolutionary subject of the oppressed proletariat. Certainly from the other hand we know that today is the season of the biggest challenge for the rebels of this world. The system as we already mentioned is passing through its own short-circuiting and for the western world, the era that promises abundance is over. The social consensus that was built around the ideal of consuming and the promise of material bliss wears continuously with the laminated blows of the economic crisis. The culture of easy, quick money and social advancement gives the corresponding position in “backward” situations of economic deprivation. This situation, both in Greece and internationally, leads and will lead, to social unrest (France, England etc). It is inevitable that inside the neutralized, until yesterday, social body, the conditions will be developed for a polarization towards both ends. 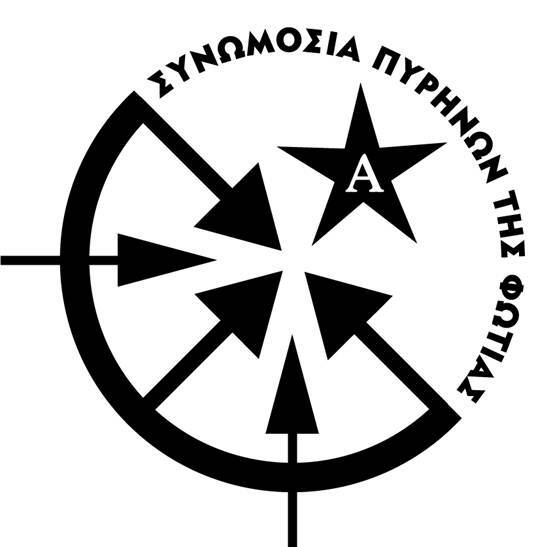 In one case it will revive the conservative instincts of a part of society (events at St. Panteleimon, Attica square [fascist attacks against migrants], participation of Chrysi Avyi [Golden Dawn – extra-parliamentary fascist organisation] in the city board) will identify the “source of evil” in the weakest, the immigrants. Stupid sayings like “they stink”, “they carry diseases”, “they brought crime”, “their merchandise close our shops”, “they brought the wages down” are some of the verdicts that the new “saviors of the nation” have already launched, to convince and gain the consensus of several thousand of the local oppressed. Of course, the vast majority of immigrants have their corresponding share of complicity as they breed the “Greek” standards within their communities, which are dominated by ignorant people, sexism, organised crime, racial and ethnic divisions, religious intolerance and fanaticism. In the second case, the remaining part of the social fabric will move to the side of social demands. A colorful and vibrant range that includes in its lines from syndicalists of PASOK [socialist party], constipated members of CPG (KKE, communists), moderate leftists, uncommitted, progressives, to social anarchists, hooligans and rioters. We are ready to live in times of high tension. The polarization and social conflicts are inevitable. Greece by continuing its economic downhill, will be a great theatre of conflict. The question is which side will anyone choose. We, at this time, are away… obviously not in the conservative culvert of fascists nor in the forehead of social demands and requests. Our action of minority has declared our war some time ago without fighting for better wages or better pension, but fighting for a better life for a more meaningful and authentic sense of reality. This does not mean that we want to taste the arrogance of an alleged self-assurance. Away from us such positions, we simply declare our position clearly. Besides, we know that for us it is not enough, just the academic knowledge of suffering, but mainly the seeking of permanent intervention against misery. The search for a personal and collective identity. The search for contact with other people away from any dogmatism, pure theory, even from our own. We are not in solidarity with the suffering of people, we are in solidarity with the vigor with which some people do not tolerate their suffering. It is at this exact point, the point of tension and contradictions of social polarization, that we think that actually create the first cracks in the ruling order of things and what remains is to catch the thread of communication and to take it a step further. This whole situation, the impact of economic crisis dismantles the facade of the western lifestyle, it triggers the margins of pre-reactions, it develops new behaviors and self-denials. We believe that there are and there will be a new minority of people outside the context of social conservatism and social reform who, either experiential or instinctively or through conscience would reject in practice the whole culture and current value without being locked into a stupid racist, nor for a claim for a better salary. From here that we are away, its there where we want find ourselves. In the heart of change. All our actions and our texts are trying to be an informal code of communication, a thin red thread that travels in the wind in order to associate the most unpredictable and dispersed autonomous personalities. Because we do not want to see behind the signs of the worker, the anarchist, the poor, the immigrant, but to stare in the eyes of each one as a distinct personality who judges and is being judged through his choices. This is the greatest pleasure for an urban guerrilla. The connection with different people, the communication outside the stereotypes, a gesture of solidarity and return from a stranger. We do not like to contemplate the reality from the arrogant mountains of a supposedly self-assurance, on the other hand we want to diffuse into the social network conveying the message of rebellion and eroding the pillars of stereotypes. To be dispersed in a uncommitted current of behaviors, in the excluded cycles of juvenile delinquency, in the challenge of the disenchanted, in the realism of those that lose their illusions, in the world of decent prisoners, in the hooligan, in music subculture, in schools, in the fighting margin of the whole spectrum. These individuals, who may not have taken part in any political meeting, neither went to a demonstration, nor even have read the “truths” of Marx or Bakunin, through the same everyday attitude, through their values, through their life, they may be more anarchist than the anarchist “insiders”, more fighters than the ‘professional’ fighters. The context of economic crisis is the most appropriate occasion to occur and express these energetic personalities. Move from the margins to the forefront. To claim the territory of the original behaviors that for so many years were crushed in the society of the respectability and the apparent release. In this way the leaders, the roles, the small and large powers are eliminated. Because the urban guerrillas are not some elite that keeps the super truth. We are simply a minority which is armed with the wishes and decisions against the blue uniforms of the torturers, against the serious suits of tyranny, against the social peace and silence that shoots back. We disseminate our ideas, our way of action, our desires, our “rights” and “mistakes”. And we often “expose” ourselves to the known value of the loss of a death or imprisonment. We are not demonstrating the right track, we have just chose a path that is opened to everyone. We leave behind us the definitive history of class war. We have no confidence in the working- employee class who bows to the boss and wants to become in the image and likeness of it, while simultaneously revolts for the crumbs that deprive from its table. Because we believe that the road to freedom and dignity is always personal and does not fit into stereotypes and labels. Everybody judges and is being judged from their choices. That’s why we often promote through our texts the anarcho-individualist conception as a new manner of behavior and a new pattern of action. This does not mean that we are not interested in opening dialogue with other people to communicate what makes us proud that we still walk on this field. Moreover, with the same fervor we expect any criticism that will trouble us and makes us better. But we do not expect social acceptance to do so. We do not compromise with waiting for “mature” conditions. If society does not understand our ideas, then the problem is with society. No longer we’ll put ourselves in parentheses. In a world where the law of the primacy of mass overrides, we will hone our denials for now and forever. So we exist against the times without becoming a part of impersonal and anonymous consensus and compromises. Nevertheless its the personal choices and individual initiatives that are shaping the frame of everybody’s life. At the same time we are convinced that the individual is the beginning of the original collective. Through human communication and cooperation everyone finds out more about himself and at the same time about those around him. In our desire to face this world that oppress us with hostility, we interact with free and autonomous individuals who seek life in all its intensity rather than in monthly installments. This extended network of people, fighting, discussing, doing, thinking, and developing is the Revolutionary Group Conspiracy of Cells of Fire. An illegal network of minority action between comrades, without leaders and followers, that organizes its wishes and thoughts always on the side of revolution. Through our actions we deny the monopoly of violence and weapons by the part of the state. VI) Eye for an eye. That is why we often use the term ‘revolutionary terrorism’, considering that against the face of terror that is exercised by the “top” with war, poverty, accidents, police, prisons, there must be a response with a terror from the “bottom”. And despite the fact that the guerrilla violence of an explosive device or a political execution can not be compared with the genocide and murder of the state, yet it’s a small shipment of terror in the enemy camp. The fact that all these bastards who dominate our lives are bound to move in armored cars, with a small army convoy, even during a normal exit, is the minimum price for the world they have create to govern. We, as revolutionaries have experienced the loss of our comrades, the captivity of our brothers in prison, the manhunt from our persecutors, and now is time for the pain and agony to change camp. Revolutionary terrorism contributes in its way in this direction and promotes the revolutionary cause. VII) Actions do not speak for themselves. But the actions are nothing if they remain orphaned and blind. Instead they gain all their meaning when they are proclaimed. We, as Conspiracy never took the easy way of subterfuge, but we always proclaim our events and actions. This, when we begun our action, seemed inappropriate, because, until then, there weren’t any illegal infrastructure inside the Greek anti-authoritarian fighting trend, that used a fixed signature and specific words (apart from few exceptions, the ‘Arsonists of Conscience’, the ‘Black Star’ …). The main reason was the perception which still exists that “the actions speak by themselves” and the fear of prosecution for “being member of an armed group” in the case of an arrest. With regard to criminal costs, this is a natural consequence of which each must be prepared before declaring war on the system, otherwise they should not even make the effort to cross the path of revolutionary action. The legal consequences cannot make “allowances” to the revolutionary speaking. The unity of words and actions come always first despite the legal implications, as the quintessence of our own struggle. This is what we always did as Conspiracy and we will continue to do. On the first day of November two of our brothers, Gerasimos Tsakalos and Panagiotis Argyrou, were encircled by the DIAS police team and were arrested at the center of Athens. They found on them two pistols, five magazines, one bulletproof vest and two incendiary packages to be sent to the Belgian embassy and the French president Nicolas Sarkozy. It followed the delivery of other two packages destined for the Mexican embassy and Eurojust. It all begun when the Swift Mail’s courier employee, wanting to satisfy her curiosity and snooping nature for the sake of security of an ambassador, opened the package in excess of her work, with a resulting inflammation, without being injured. The rest is known from the news and newspapers. This subject phoned the police and the cops blocked the entire area with dozens of forces, capturing our comrades. Certainly the act of the particular employee is exposed to common sense and be sure that her name wont be easily forgotten by the new urban guerrilla warfare. As far as it concerns the action itself, our foresight that the correspondence of the aristocracy of the ambassadors isn’t opened by themselves but from the clerical staff of the embassy, make us not to use the strong explosive that we store, but only a minimum quantity of improvised black gunpowder to deliver the message without injuring a man. Having even counted that the packages will remain for a day at the warehouse of the companies and that they would be delivered the next day by the workers of the courier, we care to completely secure the assembly and the mechanism would be activated only when it was opened. As mentioned in a previous proclamation, the action of an urban guerrilla and the violence that they use, is directed solely against the thugs who dominate our lives and against the loyal vassals who embrace the religion of the legal Order. But when masters can persuade the slaves that they live in freedom, then the meanings face the loss of consciousness. Often we are faced with the contradictory finding that some employees coincide with the interests of the economic elites. The mania for security and social snitching, that several workers are showing, maintain the life of the system. So, in a society where citizen “heroes” protect the money of a bank from bandits, others are still seeking for more police, some people respect the laws of the corrupted rulers, many snitch on anything that deviates from subservient regularity and some demand the exemplary punishment of the rebels. We stand against them, ready to fight to the bitter end. IX) Campaign of solidarity and support to guerrilla groups and captive rebels. Today it is imperative the start of a new phase in the development of revolutionary thought and action. A qualitative jump that will bring common choices, which are hundreds of miles away, one step closer. Our aim is the constitution of a formless anti-authoritarian international network of guerrilla groups and autonomous individuals. The creation of a network in which the comrades and the groups that will participate, will exchange experiences from the total spectrum of the struggle, from the spontaneous anarchism, from the armed struggle, from the political anonymity, from the rebellious trend. The starting line of an extended circle of communication, discussion, perception and reflection. The effort to create a form that will co-ordinate subversive action and attacks on the international level. The operation of an experimental laboratory of schemes by exchanging material and technical knowledge in the field of sabotage. The organization of a collective of solidarity to imprisoned comrades and of a substructure of support to wanted rebels. The challenge of a bet that its achievement is more beautiful than the bet itself… In any case it is something that we wish to do. Within the next few months our wish will be sealed with the presentation of a completed international call. At the present moment we send our greetings to friends, to the known and to the unknown comrades that are organized and act from their individuality and the guerrilla groups. At the same time we should speak for our losses, for our brothers that are no longer next to us. The issue of the rebel prisoners (among with them and the bright minority of “penal prisoners” who deliver courses of dignity and honor with their attitude and their struggle) remains a familiar aspect of the radical fight. Often the interest for the “people inside the walls” is increased when the hearing of a case begins. Meanwhile, the journalistic articles are written with spectacular titles as “the arrest of an organization” or “the armed clash between terrorists and police forces”. However we consider that we must speak again for our jailed brothers, knowing that they are not just simple names in the titles of news and newspapers. All these comrades have an individual life, a personal way of thinking and a unique face. In the past we spoke for some of our comrades by referring just their names while for others we never learned them. We mentioned them in fragments, at the end of a proclamation and in a motto that we shouted in a riot. Therefore, we lost the memory, the connection, the history. At the same time we are careful, because we want to avoid presenting our imprisoned comrades as victims or as heroes. In contrast, we wish to create an essential communication with these persons, to give them the chance to speak, to exchange experiences and most importantly to make a huge effort in order to release them and stand again in the first lines of the fight for the revolution. Next to the initiatives of solidarity that already exist from revolutionaries and anarchists, we also put our own footprint in the case of the release of prisoners and the destruction of prisons. In a first attempt to this direction we include the campaign of international solidarity that we performed. The friendship that connects us with some, but also the deep appreciation we feel for most that we had not the honor to meet personally, would remain unsatisfied watching these histories be forgotten in lists of magisterial documents and files of newspapers. The different perceptions, certain personal characteristic and the ignorance of certain elements because of kilometric distances are not capable to disprove the obvious. These persons did not wait for the action to find them in the armchairs of their houses, but they requested it by themselves in the path of revolution, where everything is possible. At present, in the Mexican prisons, Abraham Lopez is jailed from 2009. He is accused of sabotages and criminal organization. Some of these actions have been undertaken by ELF. Andrian Magdaleno Gonzales who is accused of arson attacks against banks and actions of ALF from 2010. His sentence of imprisonment is 7 years. Finally Braulio Arturo Duran Gonzales is accused of many incendiary attacks in banks and other targets. We also send our greeting to the armed Argentinian comrades such as the formation of Luciano Arruga Brigata that strikes mercilessly the structures of the country. These armed guerrilla groups attack police stations, expropriate weapons from the cops, do robberies taking the political responsibility and accomplish bombing attacks against the symbols of power. We send a big compassionate embrace to Gabriel Pombo da Silva who escaped from the FIES prisons of the Spanish State in 2004 with Jose Fernadez Delgado. In their attempt to pass the German borders they “met” with cops and the result was an armed clash (Aachen 4 case). This moment they are imprisoned in Germany. Gabriel was sentenced for the fight to 13 years while he was already imprisoned for 24 years, 14 of which he was in solitary. His comrade Jose was sentenced also to 14 years of imprisonment for the same case. Gabriel never bowed his head in the prison. Through his incendiary and subversive texts he declares that he will always be in the side of the aggression. “We are some who believe that the moment has come to attack and destroy what doesn’t serve us and to the contrary enslaves and destroys. In contrast with the concept of the Masses, we propose that of the Community of conscious individuals who do not search a centre… a Community of groups and individuals “at the margin” and “against” the project of Dominion in all its aspects: economical, technological, political, social, architectural, etc. Comrades, let’s not waste time and energy in discussions with those who live of words and for words, ours is Action!!”. The comrade, because of the proud and intolerant attitude that he has adopted all these years and his struggle against all prisons, has been often targeted by law enforcement authorities. The Italian authorities “visited” him, considering that he is directly connected with the rebellious organization FAI. Furthermore, he recently had a hunger strike that became an international solidarity campaign in which we participated by blowing up the building of the National Insurance at Syggrou avenue [Athens]. Travelling several miles beyond, we meet in Switzerland Marco Camenisch who was arrested in 1980 for sabotage against [Nuclear] electric pylons and transformers, sentenced to 10 years of imprisonment. One year later he escaped from the prison and he lived 10 years as an outlaw. He was arrested again in 1991 during a routine check in Italy, that turned into a fight with the cops. One cop was injured while Marco “adds” in his categories one more sabotage action and the execution of one more police officer from an older case. In addition, three eco-anarchists Silvia Guerini, Luca (Billy) Bernasconi and Constantino Ragusa are also imprisoned in Switzerland, accused of transporting and attempting to place an explosive mechanism in the research laboratories of nanotechnology of a big company. They were arrested in a car in which police found a proclamation and explosives. Inside the prison they continue to fight, recently being on hunger strike. Crossing the Atlantic, we are transported to images of war in the country of Chile. There the comrades Marcelo Villarroel and Freddy Fuentevilla are in a prison of high security in Argentina accused of illegal transport of arms. They had entered illegally the country because the Chilean government accused them that they had participated in an attack at a bank where a cop was killed. The Argentinian state deported both of them to the state of Chile. Marcelo had passed a lot of years in the prison as a juvenile. He began as social fighter, while afterwards became a fighter of Lautaro Movement. He suffered many tortures as the youngest political prisoner in Latin America. Later he became a member of the team Camina Libre which fought for the issues of the prisoners and against the prisons. The particular comrade is considered by the Chilean authorities as the ancestor of the case of “bombs” in Chile. For “the case of bombs”, 14 persons are persecuted and they deny the categories. The whole police operation for their arrest was exactly like a movie. Invasions of occupied spaces and comrades houses, live broadcasts and political statements on the triumph of democracy. Immediately followed a proclamation-manifesto, from groups that are in the rear of illegality, that declared: “We planted the bombs. Our targets were banks, embassies, financial companies, police stations, barracks, churches, political offices, gyms of the ruling class and everything that belongs to the historical oppressors of the workers. We do not regret, we are proud and it is a fact that the police has not approached us. We are their defeat.” We express our solidarity for these groups that proudly and intolerantly claim their actions. Returning to the “iron” state of Germany we find Thomas Meyer-Falk who is in prison from 1996. He was accused of a bank robbery in order to finance political actions. The German State revenges him by keeping him for years in isolation. His correspondence is checked and he is incarcerated 23 hours in his cell. He declares: “…if isolation is an attack to human dignity; spending over 7 years in isolation is definitely not easy, but my mind is stable and the solidarity from outside jail is helpful and does me well.” Thomas had an aggressive attitude at the court defending his beliefs and denying to regret. His court of appeal that held in 2007 rejected his under terms release (he had reached the 2/3 of his sentence) considering him dangerous. Finally in Balkans we meet the 23 years old Jock Palfreeman who had the courage to fight with a team of 16 neo-Nazis in Sofia (Bulgary) when he saw them attacking a young Roma. He used a knife to repel them, but they attacked him. In the fight that followed he killed one fascist and wounded another one. The court sentenced him to 20 years of prison. Also in Russia and in nearby Belarus where comrades are organized and attack, creating structures of inversion and participating in actions of sabotage. We send them our solidarity for the prosecutions and the imprisonments with which the Russian state revenge them. Terminal station – the Greek territory. Many rebels, anarchists and respectable “penal prisoners” experience the “hospitality” of Greek prisons. However, they do not bow their heads because the smoke from the fires during the uprisings have not been forgotten. Therefore we want to greet the rebel anarchist Giannis Skouloudis who was arrested for the arson attack against a State vehicle of the National Electrical Company. Giannis is with the side of the original revolutionaries who start beautiful fires in the nights of Thessaloniki. He had the pride and the strength to claim the responsibility for his action without showing the least sign of repentance to the investigative authorities. Along with Giannis, police have targeted, for the same case, four other comrades: D. Dimtsiadis, P. Tzifkas, D. Fessas and the M. Tsilianidis. Those four never bargained their political beliefs, neither did they hide behind legal tricks and rhetorical schemes. They chose to abscond, they chose the illegality in order to remain in the first line of the battle for the revolution. Their comrades never left them alone. They attacked the courts of Thessaloniki, they continue the arson attacks and they performed an indignation meeting outside of the Aulona prison where Giannis is jailed with the rebel anarchist Panagiotis Masouras. Panagiotis is one of the few rebels that are accused for our organization (Also accused in the same case is anarchist K. Karakatsani who is inside the women’s prison of Elaiona). We send to Panagiotis our greatest Friendship and our Respect. This entry was posted on December 25, 2010 at 12:53 am and is filed under Direct Action & Civil Disobedience, Government, Immigration & Borders, Police State, Prisoner Support, Revolution with tags Conspiracy of Cells of Fire, Greece. You can follow any responses to this entry through the RSS 2.0 feed. You can leave a response, or trackback from your own site.